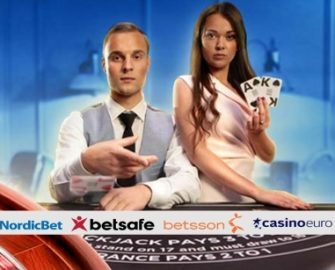 Betsson Group – €100K Live Casino Bonanza! Win up to €20,000 in cash! 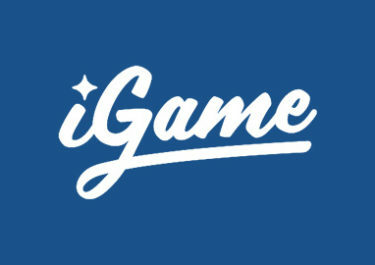 All Live Casino enthusiasts and wannabees! Do not miss this intergalactic Live Casino event, taking place across all Betsson brands – Betsafe, Betsson, Casino Euro and NordicBet. They just launched their brand new Live Casino environment with exclusive new Blackjack and Roulette tables by Evolution Gaming, and they are celebrating it in style with a tournament where a total of €100,000 cash is up for grabs. The Betsson Group proudly presents their own exclusive Live Casino environment, powered by Evolution Gaming. As of 2nd October 2017, players can sit down to play Live Blackjack and Roulette against their own dealers. To celebrate the occasion, they are giving away €100,000 in a two-tiered promotion running until 8th October 2017. Leader board is available in the game client and will be updated daily at 17:00 CET. Players betting behind do not qualify for this promotion. A qualifying game round for the purposes of this promotion is a real money bet round, and on roulette when a player’s bets cover less than 70% of the outcomes on the wheel. 1st – €20,000 | 2nd – €10,000 | 3rd – €5,000 | 4th – €2,000 | 5th to 10th – €1,000 | 11th to 34th – €500 | 35th to 63rd – €250 | 64th to 97th – €100 | 98th to 146th – €50 | 147th to 245th – €30 | 246th to 344th – €20 | 345th to 550th – €10. On top of the leader board race, there will be daily prize draws with 50 daily winners every day until Thursday and 100 winners every day over the weekend. To get your ticket wager minimum €100 on the exclusive Evolution Gaming tables – Exclusive Live Roulette, Exclusive Live Blackjack 1-10, Exclusive Live Blackjack VIP tables. Only one ticket per player per day, which guarantees a high chance to win a prize. Cash prizes won between Monday and Thursday will be paid out the following day by 18.00 (CET). Cash prizes won Friday to Sunday will be paid out the following Monday by 18.00 (CET). All prizes have no wagering requirement. Terms and conditions apply.